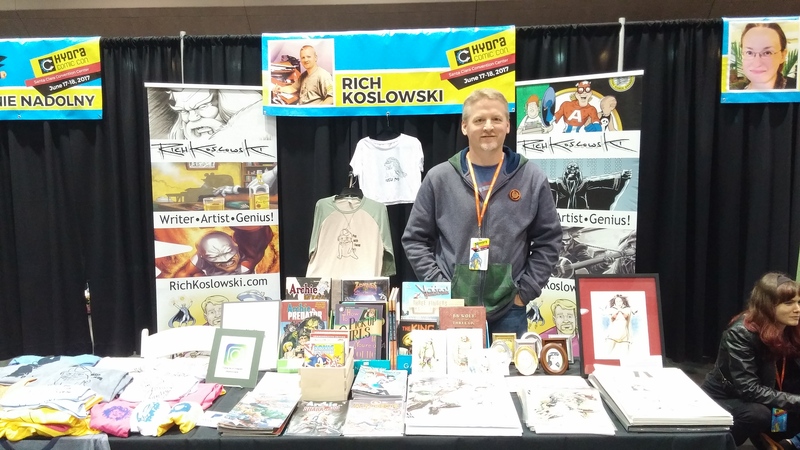 Still time for Batton Lash’s Kickstarter! 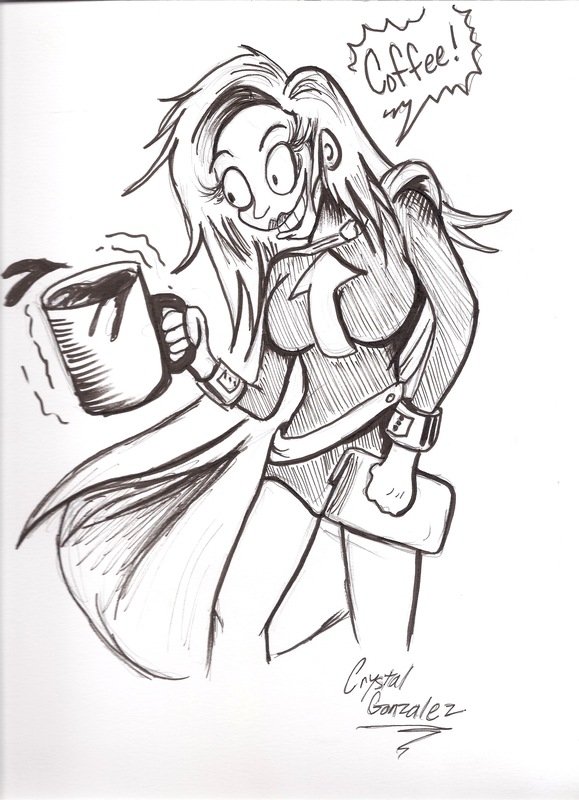 Batton Lash, story writer and Ditko-esque artist, drew the cover of my book Super Bad Hair Day. He gave me great advice (red cape and up-arrow chest logo for Holly). He created Alanna Wolff, a great female lead and a great lawyer. 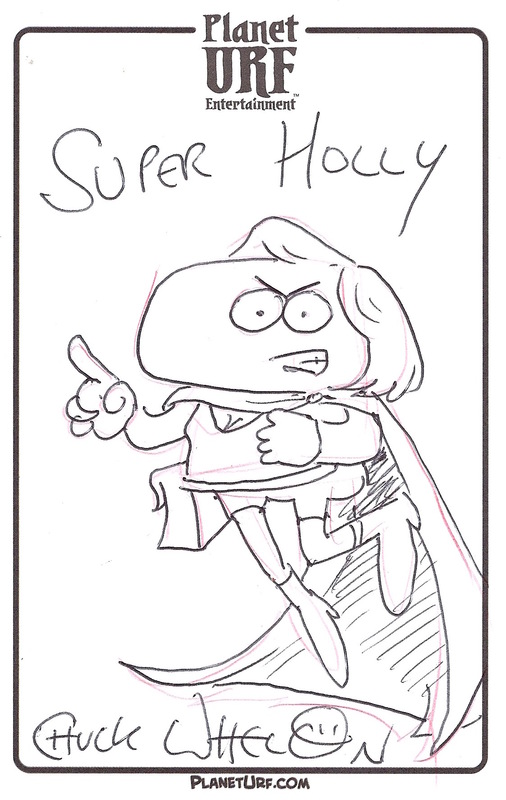 Super Holly would hire Alanna in a nanosecond. In this full-color original graphic novel, Wolff and Byrd take on a case in which a ghost is literally “grandfathered in” to a home inheritance. Grandpa has died but his ghost won’t leave the house—much to the chagrin of his son and daughter-in-law! Meanwhile at the law offices, the landlord wants Wolff & Byrd to leave because their clients are disturbing the other tenants. Plus: Someone from Alanna’s past comes back to haunt her, Jeff is having family troubles, and intrepid secretary Mavis has her own challenges! Readers can expect lots of plot twists and turns and a surprising revelation. This is the first all-new Supernatural Law graphic novel in 5 years! If you want a strong, smart, tough female lead and a great courtroom story with the drama of Law & Order (sound effects: BOM BOM!) and the laughs of Seinfeld, read Batton Lash’s Supernatural Law graphic novels. If you contribute to the Grandfathered In Kickstarter, you can get goodies such as the new graphic novel ($25 and up). Heavens to Murgatroyd! A comic book about a writer! 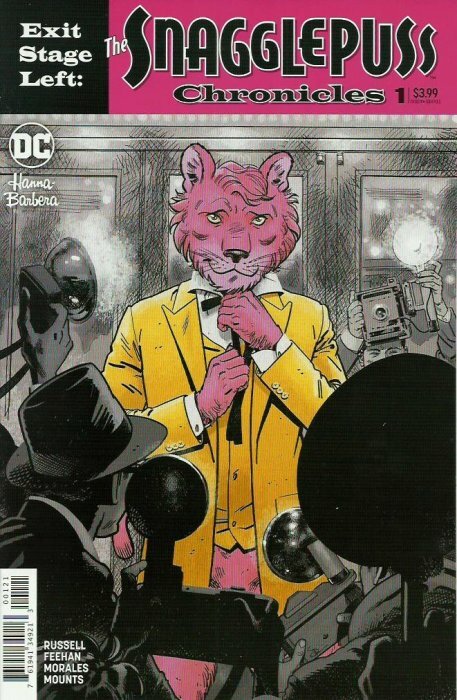 In my opinion, The Snagglepuss Chronicles has the best writing in current comic books. Mark Russell writes that pink cool cat as a gay southern playwright in the mid-1950s. It fits like a velvet glove. So go fit this comic book into your stash! I love the dialog. In issue 3, Snagglepuss is on a talk show, where he neatly stated the difference between television and theater. Snagglepuss: Television is about creating stars, theater develops actors. Talk Show Host: And what’s the difference? Snagglepuss: A star shows people who they’d wish to be, an actor shows them what they are. In issue 2, a nasty woman from the House Committee on Un-American Activities tries to convince Snagglepuss to write scripts for her about the evil commies about to take over America and we gotta get them and anyone who remotely smells the least bit pinko. Snagglepuss elegantly, politely, and firmly refuses. Snagglepuss: You ask for my pen, and that I cannot give. Snagglepuss: Because it’s all I have. I wiped a tear from my aspiring author eyes at that. I get the feeling I will wipe off a few more. 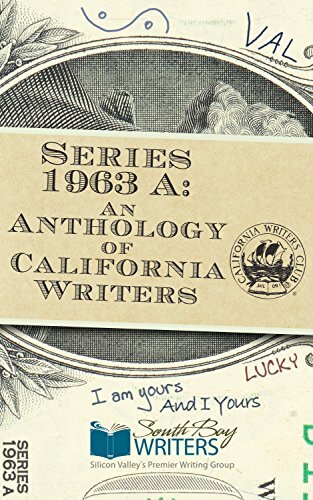 HUAC did not treat writers well. Huckleberry Hound is also gay in this storyline. Snagglepuss takes that poor, hangdog-sad soul under his wing. I admit I would never have thought Huckleberry would be gay. I can’t tell by looking at him, surprise surprise. A guy at Prism Comics once called me an ally. That was nice of him, but that didn’t give me gaydar. Yosemite Sam: Ah hates homophobes! Ah’m the nastiest, worstiest, shoot-em-firstiest bigot basher in the west, east, north, and south! If’n I hear of yuh ever threatenin’ my pal Porky Pig ever again, mah two six-shooters will do mah talkin’ for me! Like this! BLAM BLAM BLAM BLAM BLAM BLAM BLAM BLAM BLAM BLAM BLAM BLAM!!! The executive’s desk fell into itty-bitty pieces. Yosemite hopped onto the homophobe’s lap and smushed his face onto the homophobe’s nose. Yosemite Sam: One more thing, you skunk. Mah guns are cartoon guns, so they don’t run outta lead. Lemme show yuh! BLAM BLAM BLAM BLAM BLAM!!! The executive’s chair fell to pieces. Yosemite stomped out of the office. Bugs Bunny stepped in and smirked at the carnage. He spoke to the trembling, white-faced, whimpering homophobe. Bugs Bunny: Eh, what he said, doc. P.S. I don’t own any velvet gloves, I just like the sound of that. Holly meets Angry Batman, by Chloe Dalquist. (Check theangrybatman.tumblr.com. Great humor for grown up geeks!) I read issue 1 of Angry Batman, and I smiled and bought it. Chloe said she’d draw something in it. 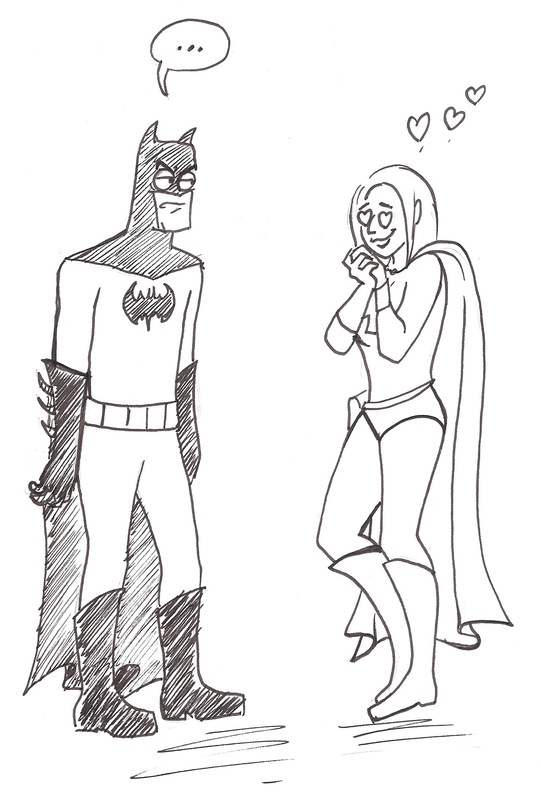 I told her that Super Holly has a crush on Batman, and I asked her to draw that. This is what Holly would do on meeting Batman. I love Holly’s crushing and Angry Batman’s tude! 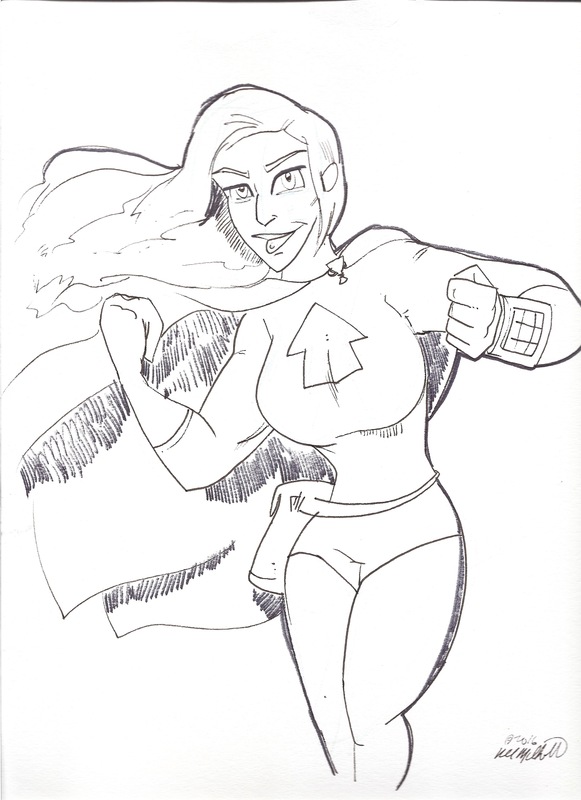 Next, I bought Super Stupor issue 4, and R.K. Mulholland did a drawing for me. (Check his webcomic at somethingpositive.net.) I like how this makes Holly look so happy! He asked about Holly’s cape clasp, and I said it is grail-shaped. And lastly, something silly! From Chuck Whelon, from whom I bought Pewfell in: Drain of Chaos. (Check his art and game website at whelon.com and his Patreon for Pewfell: The Epic Fantasy Sitcom at www.patreon.com/pewfell.) He drew Holly as an Urf. Hmm, is that a little Urf cleavage in the costume? No wonder Urf Holly looks so angry! I am taking Beth Barany’s Branding For Novelists class, which helps writers nail down exactly what their brand is. Such as who is my audience, what is my author bio, calls to action that I can do to help my marketing, and so on. And part of her lesson to make a branding statement says that if I say my audience is everyone, I need to think again. Females, kids, gays, and anyone else who is not a superhero fanboy, but would like to be. How’s that? I think this is really who I am thinking of. Sure, I love fanboys, I am a fanboy! But us mostly white older male geeks are gonna die out in the next two or three decades, comic books and superheroes need new blood! I wrote Holly because I love when the woman steps up and punches out the bad guy. Some superhero stories should be written for that half of the planet’s population. 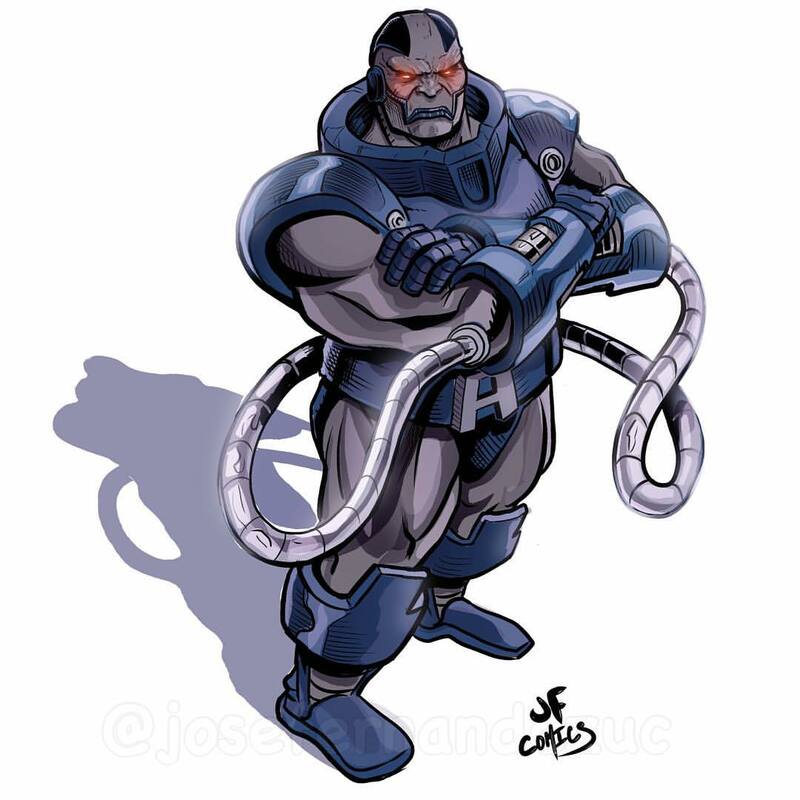 Boy, would I love for Super Holly to give Darkseid a BIG FAT BELT right in his genocidal kisser! And if that does not work, a super-telekinetically-enhanced kick in the you-know-where. And he’d better not use his Omega Beams on her if he knows what’s good for him, because they would fry Holly’s beloved blonde hair, and Holly would get steam-rocket-out-her-beaky-nose, GRRRRRROWLing Belker-The-Biter (Hill Street Blues) MAD!!! Thank you, Beth. You are making me think.